Venue capacity: 2300 (Stalls, 1000; Royal Circle, 600). London’s 5th largest. 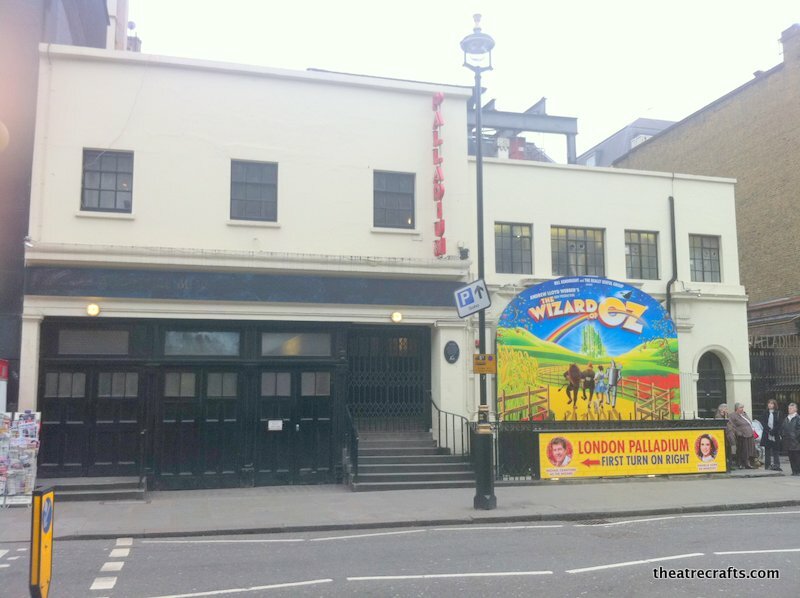 One of the most famous variety venues in the world, the Palladium has been open and showcasing the finest acts and shows for over 100 years. 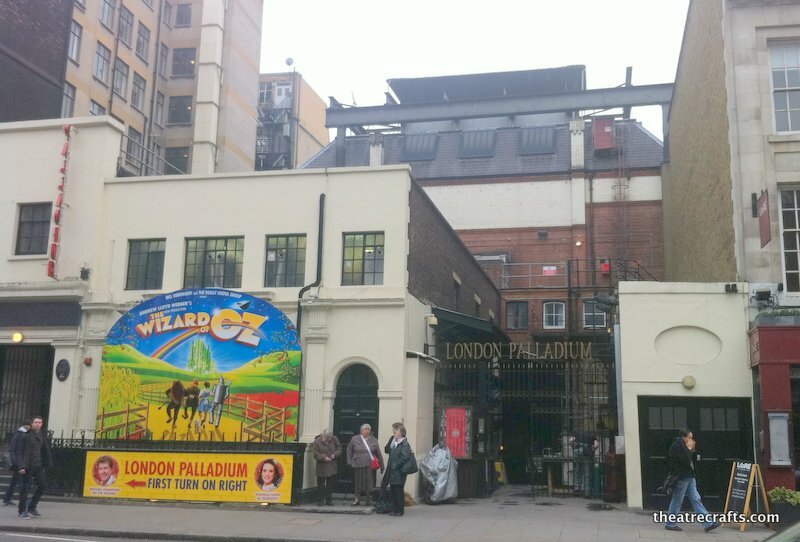 1960 September: The London Palladium is Grade II listed by English Heritage. The theatre is re-equipped with new stage lighting systems to satisfy the requirements of 1950s TV technology. October 1963: featuring The Beatles. Gangway (1941) Strand’s prototype Light Console was installed at the Palladium for this show. Peter Pan (1930 – 1938) hugely popular pantomime which ran every Christmas during this period. 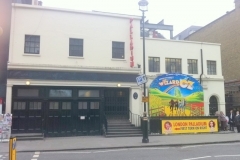 1912: Royal Variety Show performances begin. 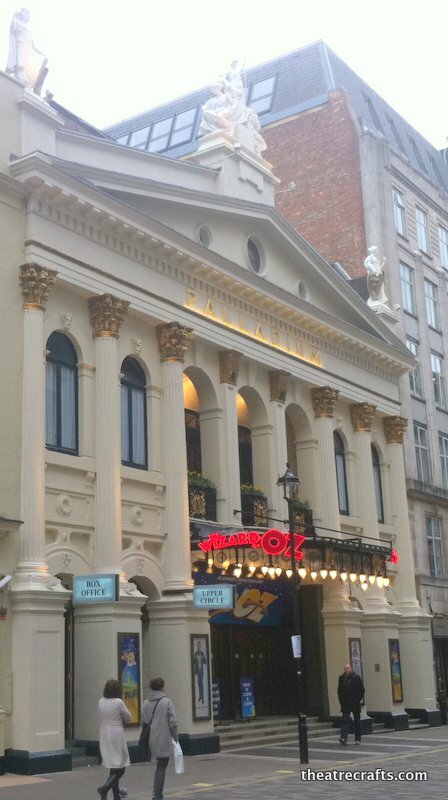 Around half have been at the Palladium. 1884: The venue becomes the National Skating Palace, and features a rink of real ice. However, this venture failed, leading to the interior being redesigned by Frank Matcham. 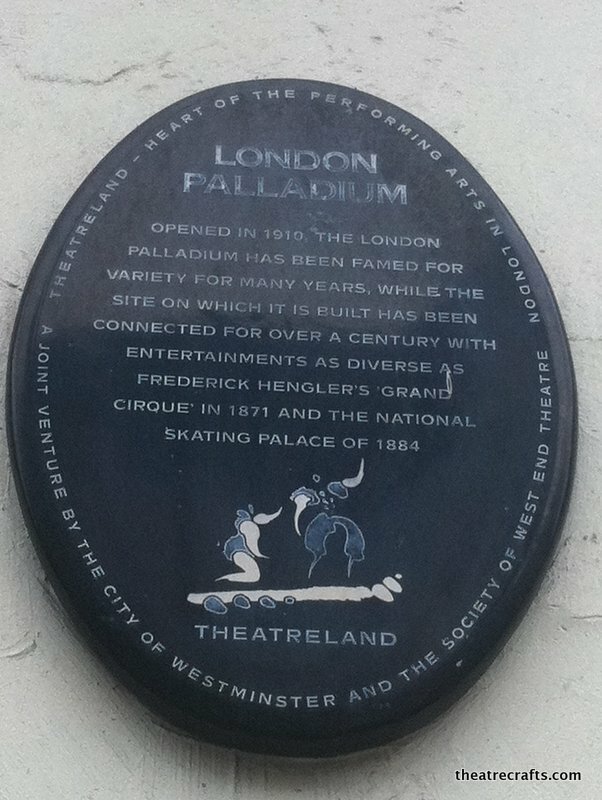 1871: The theatre was rebuilt by Frederick Hengler, and renamed the ‘Grand Cirque’; a circus venue that included an aquatic display in a flooded ring. 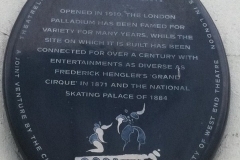 It was also known as Hengler’s Circus. 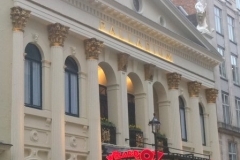 When the Palladium opened, it had it’s own telephone system, between the boxes. ‘Revolving stage’ is mentioned – was this the same three-ring drum revolve mentioned in the 1971 guide? This mechanism consisted of three separate revolving drums. Inner ring: A lift 3.66m in diameter. Outer ring: 9.75m in diameter. The outer ring was able to revolve independently of the narrower centre rings, and the middle section could be elevated above stage level. 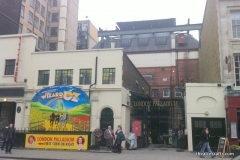 It was heavily used in the 1991 production of Joseph and the Amazing Technicolor Dreamcoat. The famous drum-revolve mechanism was finally removed in January 2002, immediately after The King and I closed, to make way for the hydraulic mechanism for the Chitty Chitty Bang Bang car. Electrics: Strand CAE board in rear of Royal Circle. Dimmers – 240 (10kW to 2.5kW); 2 presets; groups – 40 memory pistons. Circuits – FOH 74; Flies 88; Stage dips 36; Ladder booms 52. Socket type – 15A BESA, 5kW and 10kW. Total capacity available – 2700A on 3 phases (3 services). Special effects supply – 2 x 100A on 1 phase. Follow spots – 6 Stelmar in rear of Upper Circle. Sound: Console in rear of Royal Circle has a 20 channel mixer. 10 amplifiers x 35W. 2 tape decks. 1 turntable. Mic sockets – 60. Loudspeakers – 40 via jack field.